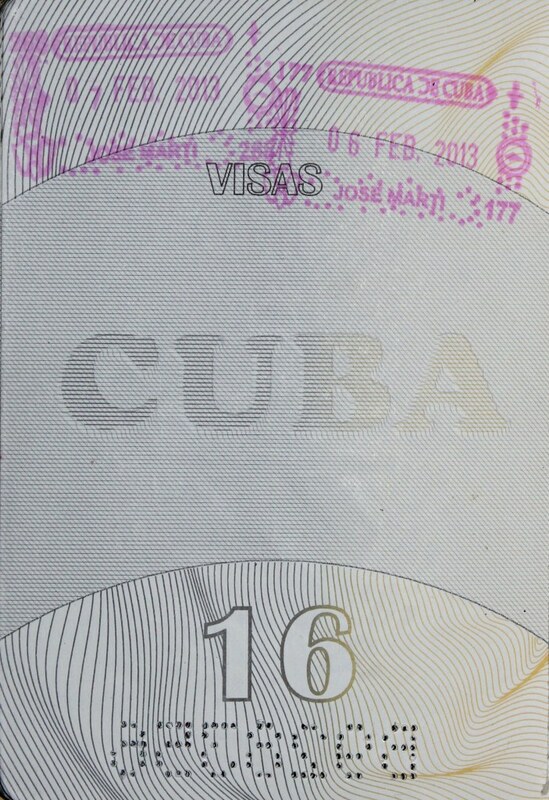 Since the Cuban government enacted amendments to an emigration policy that had remained unchanged for over 50 years, a trend that could have been foreseen is increasingly apparent: now almost all embassies suspect that every Cuban is really an immigrant, and consequently they have turned the process of obtaining a visa into a chimerical enterprise, translated into requirements that place the bar too high for most applicants. These embassies may only exercise the sovereign right of each state to decide who enters their territory and under what conditions they will allow it, but there are stories that are so illustrative that they suspect that within this wood they could also have termites and to illustrate what I am describing here in broad terms, I have the testimony of Israel Reinoso Valdés , a Cuban citizen residing in Guanajay, Artemisa Province. 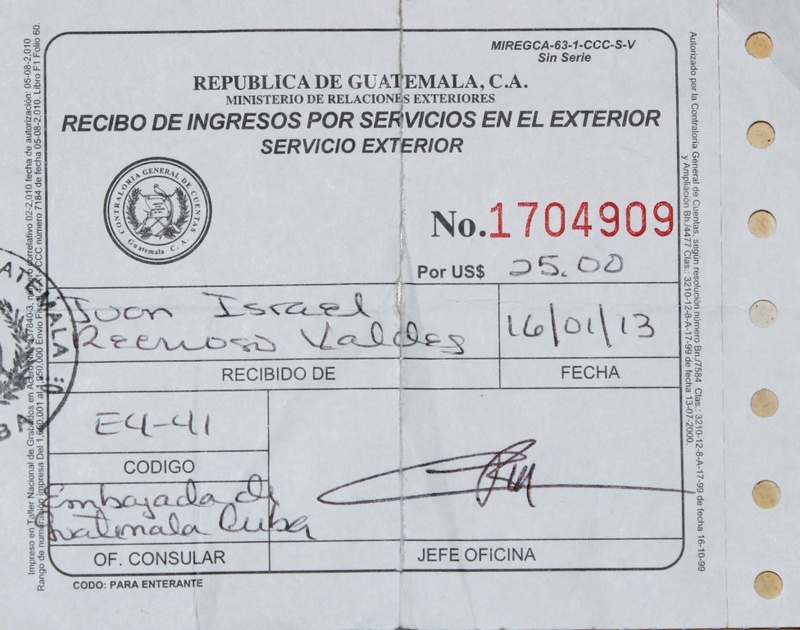 It turns out that Israel, along with Alonso along Lázaro Gonzáles Alonso and Gerardo García Álvarez — both also Cubans, residing in Guanajay and Mariel, respectively — decided to apply for a visa at the Guatemalan Embassy in January 2013. The three young men met each and every one of the requirements of the embassy and consequently each was issued a tourist visa under the current procedure (Israel was issued visa No. 1,704,909). 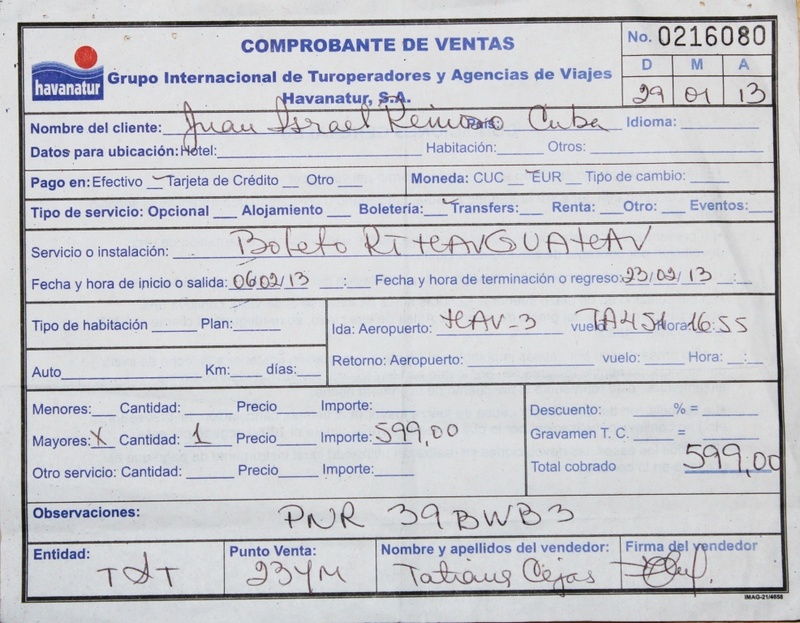 The three reserved tickets for February 6 for the price of $599.00 CUC, and flew to Guatemala on TACA flight TA451, which left Havana at 4:55 p.m. and arrived at their destination the same day at 8:20 p.m., local time. 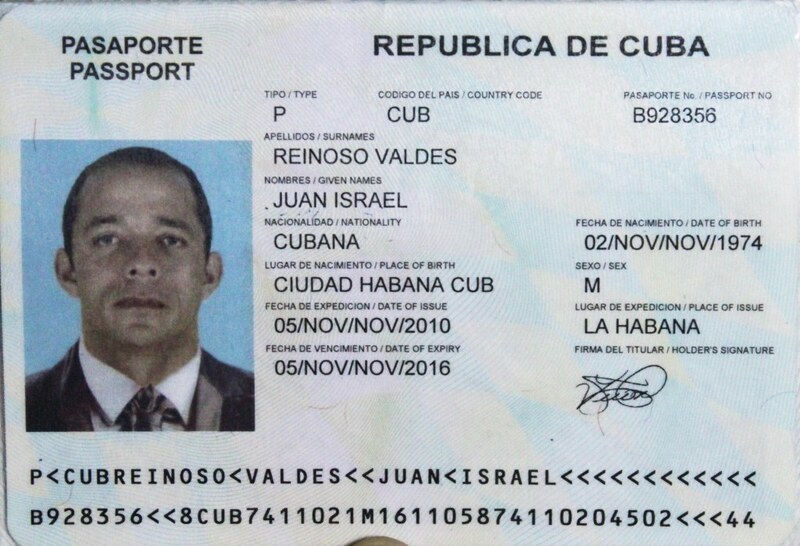 Israel says that once at the airport they were taken aside by the Chief of the Immigration Group, Jose Canisa Valenciaga, who in an extortion attempt demanded from each of them the sum of $1,200.00 USD, which they had to pay through an intermediary, if they wanted to clear Customs; otherwise they would be deported to Cuba. When they refused, the three Cubans were detained for more than 10 hours, held incommunicado like criminals, and not even allowed to use the restroom or make a phone call to their consulate. The three young men were actually deported to Cuba on February 7, 7:00 PM, local time. 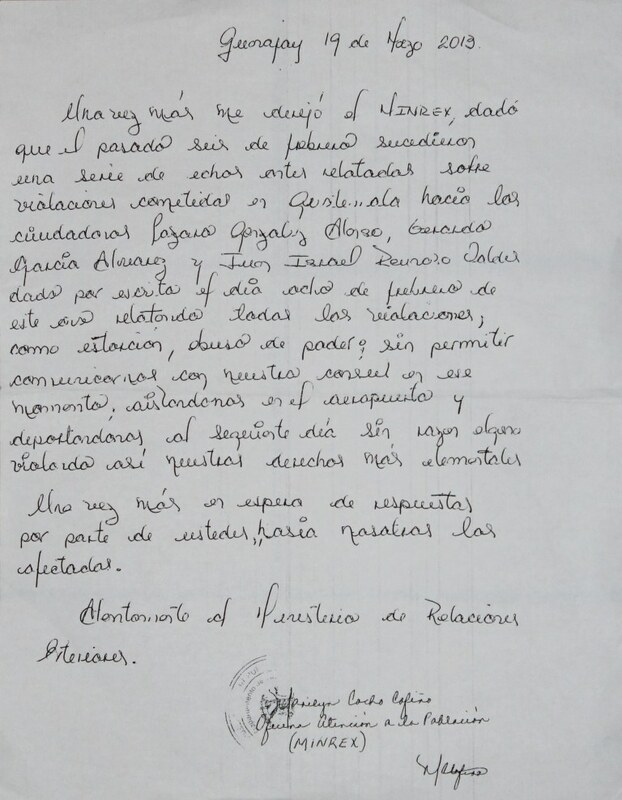 The following day they delivered a first document of complaint to Cuba’s Ministry of Foreign Affairs (MINREX), in which they explained the essential details of the abuses committed against them by the Guatemalan authorities. After over a month with no response, Israel delivered a second complaint to MINREX and then made several more visits and multiple phone calls, all unsuccessful. MINREX is legally, morally, and ethically obligated to represent its citizens in every country in which there is a Cuban consulate, and to ensure their rights, as is guaranteed in every Cuban passport that is issued. Absolutely nothing justifies MINREX ignoring the humiliation, abuse, and arbitrariness that a Cuban citizen has been or may be subjected to by any foreign authority. 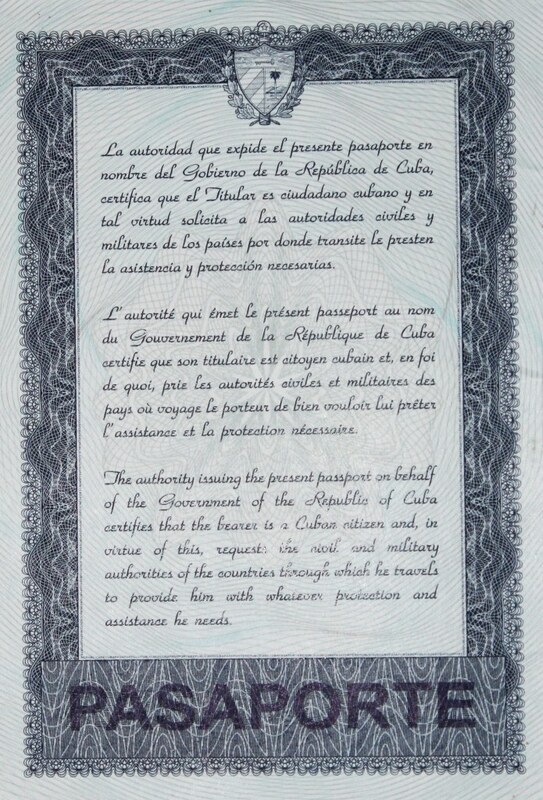 True, the final decision on entry to a country may be subject to the discretionary consideration of the customs or immigration authorities, but here we have the case of citizens who rigorously complied with all the requirements of the Consulate of Guatemala in Havana — which as a result issued a visa that gave them the legal right to enter the country — and who in correspondence submitted all documents in the form requested by the relevant authority, but this was not sufficient to avoid being the victims of such arbitrariness. 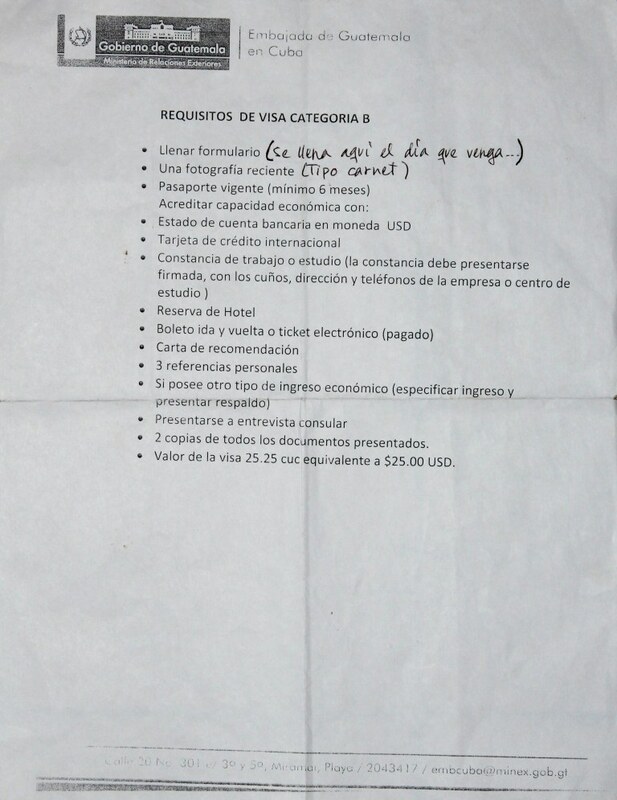 There are rules, international mechanisms, and tools that can be used to resolve cases like this, where it is clear that three Cubans were victims of an outrage, because nobody in their right mind would pay hundreds of dollars for a ticket and fly thousands of miles just to drink a glass of water and return the next day without even clearing customs. It is indisputable here that three Cuban citizens were subjected to a tremendous humiliation, were victims of attempted extortion and an undeniable abuse of power by corrupt officials. 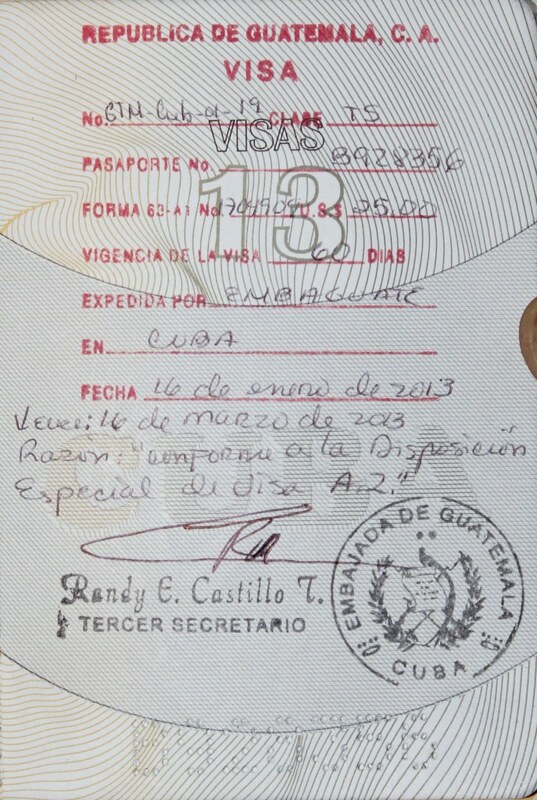 Cuba maintains diplomatic and consular relations with the Republic of Guatemala and MINREX has an embassy in that country, so it has the resources necessary to intercede before the competent authorities — in Guatemala or any other country — to press the appropriate claims in cases like this where they deem that our rights were violated. If that is not the case, then why are we paying the 100 CUC (the average salary for six months of work) we are getting charged for our passport, which supposedly certifies that, wherever we are, we remain under the aegis of the Cuban Government? Or does that only apply during the time when we have to fill the plazas during grandiose parades, and not at the time when we need actually need help — away from our land in front of a despotic official? Will they always leave us in a state of helplessness when we decide to leave this country, where contrariwise they treat foreigners with kid gloves? I doubt very much that their counterparts would stand idly by in a similar situation if a victim in Havana was a citizen of Germany, France, the United States, or any country whose Foreign Ministry is respected. MINREX, the voice of the Cuban government to the world, should be at the pinnacle of what this moment demands, and it is therefore unacceptable to abandon us so completely — in this case it should never have been so slow as to issue its final response almost five months after the complaint was made, and thus tacitly agreeing that these young men “… did not meet the requirements of the Migration Act …” when in fact they met every requirement demanded by the Guatemalan Consulate. Moreover saying in effect that the three young men lost the money for their passage without recourse. What if suddenly this case is not an exception? What if we have discovered a clear trend to treat us as the new plague, at least those of us who come to where we want to go? Today it was Israel, Lazarus, and Gerardo. Tomorrow it could be any Cuban, including me of course. Because as a result of the brutal reality in which we live, and the indolence of our Foreign Ministry, we could be condemned to be seen as outcasts, as those “welcome” in the context of work missions, but then regarded with suspicion if we decide to travel to these countries by our own choice. We, the children from the same land as the one that declared that “homeland is humanity,” something surely unknown to those corrupt Guatemalan customs officials. 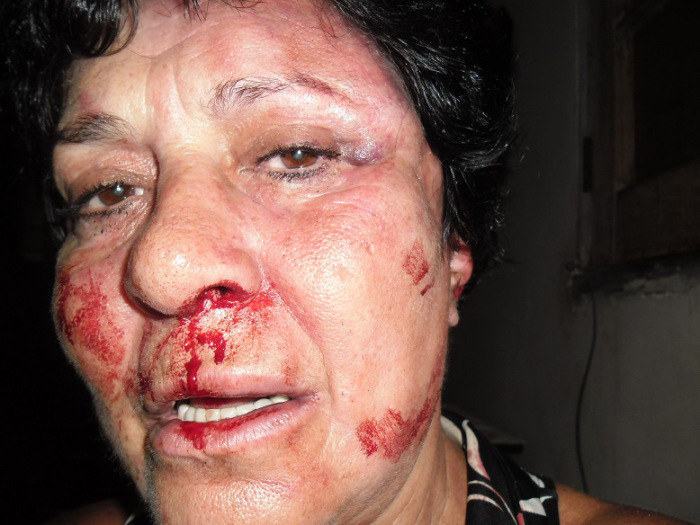 Ana Luisa Rubio, a censored and dissident Havana actress, received a beating outside her home on the afternoon of Friday, 6 September, that caused multiple contusions on her face, head and the rest of her body. A few minutes later I received her telephone call in Artemesia: I heard her terrified voice trying to tell us, but barely able to give any details. Ana Luisa then received the supportive visit of several friends, and that night was accompanied by Antonio Rodiles and his wife Ailer to the emergency room at the Manuel Fajardo Hospital, where she received medical attention and a certificate of her injuries was drafted. That same day she made the relevant police report, for the umpteenth time, to bring charges against the aggressors. 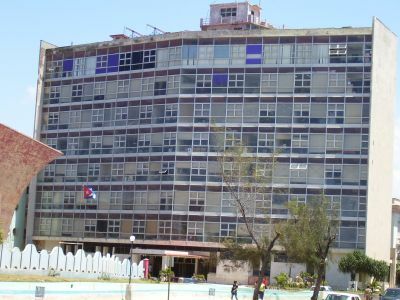 It was impossible for me to travel at that time — transport to Havana at that hour is virtually nonexistent — and as I had a 24 shift on Saturday, I was only able to visit her on Sunday morning. It was not until I saw the extensive traumatic bruising around her left eye, in the corner of the mouth on that side, still swollen, as well as on other places on her body, that I realized the magnitude of the aggression. Then Ana told me that that afternoon some kids, innocent lures, repeatedly rang her doorbell — which, she said, was consistent with a history of provocations that she has been suffering for years, and has reported a dozen times without that law enforcement authorities doing anything. When she answered the door an outrageously angry woman neighbor rushed her ready for action, followed by a stranger and in seconds there were several men, also unknown to her, who joined in the beating. The modus operandi said it all. The images speak for themselves. The impunity confirms all suspicions that State Security was involved. Now, the obligatory reflection of this Cuban who was not an eyewitness to these events and which I will try to discuss as objectively as possible. To not get suspicious:let’s suppose it was the unheard of case of a neighbor, truly outraged, inexplicably seconded completely viciously by various strangers, men and women included. Would it not be a case of assault against the person,recognized as a crime in the existing Penal Code and therefore punishable? Why, then, shouldn’t the authorities act vigorously to enforce the law, arrest the main aggressor, who lives a few doors from Ana Luisa — and expose the guilty? Honestly, I feel that this is a very remote possibility if we consider that the attack was consummated on a woman who despite her vulnerable nature has dared to challenge the absolute power. I am completely certain that if, the attacked had been anyone other than that “uncompromising revolutionary” regardless of the reasons, Ana Luisa would already be ready for sentencing. But in this case something happens that can not be ignored: casually insist several days before — I insist it was casually, not to get too suspicious — in the afternoon of August 24, Ana had undertaken a one-person public act of protest in the Plaza of the Revolution, and that it does explain a lot. So as I see it: as long as this is a country where there is a separation of powers and the Prosecutor allows such abuses; a country where the police authority, far from ensuring the safety of the person, is congenial in complicity with the oppressors; as long as this a country without a committed press, able to submerge itself in a sterile catharsis, but never risk a finger on the burning sore; as long as State Security and the Communist Party arrogate to themselves the power to organize the notorious rallies of repudiation and infamous beatings — denigrating, not for the alleged victims, but for those who perpetrate them; as long as freedom of opinion and association are constantly violated and fear corrodes the dignity of man; as long as there are cowards capable of taking advantage of the helplessness of women like Ana Luisa, nothing, absolutely nothing in this suffering country has changed. The story circulated recently on the Intranet: a Cuban doctor, a recently graduated anesthesiologist, was sentenced to nothing less than eight years in prison for the sad death of an obstetric patient. I don’t know the anesthesiologist in questions and I’m not completely versed in the details of the case, but I remain a priori convinced of some truths about this case: she wasn’t absent from her post, she didn’t stop trying the procedure until the last minute, she didn’t try to get out of accepting responsibility, she did not fail through laziness or irresponsibility. Nor was it about some marginal profiting in the corner from under the table goods, nor was she a functionary collecting the huge benefits from the management circuits, customs, nor hoteliers, nor one of those who emerges from those who hold the upper hand in this country. This young woman gained nothing from this work shift, nothing to alleviate the burden of her home, nothing to benefit her family, no food to put in the mouths of her children, if she has any. It is a universal rule that the salary received by an individual should be proportional to the effort demanded for their training and, especially, to the amount of legal responsibility assumed when exercising a particular function. But in this little island that principle is definitely broken: general practitioners, particularly doctors, living as we do amid chaotic and absurd dynamics, working for $25.00 USD a month for authorities who do not blush when they sell a child’s toy for about $80.00 CUC (roughly $80.00 USD). Meanwhile, a simple employee of that same store, just to name one example, takes home five or ten times our monthly salary when he lines his pocket from tips, from fiddling with the prices, and from access to all the rebates and bargains; while this doctor and I earn a little more than a dollar after a day of work, an incredible shift facing influenza, dehydrating diarrhea — including cholera of course, or the risk of meningococcal encephalitis; and this would be our entire pay for assuming the greatest responsibility for the least expected mistake — not necessarily out of neglect or incompetence, but from the logical physical and mental exhaustion, or, and why not, for understandable human error — which can put you behind bars and for what we don’t even remotely perceive that we deserve. All this sounds like mockery and would be laughable if it were not so serious. The doctor’s previous merits counted for nothing, nor did her desire to finish this most difficult of specializations, nor the five years she was on a medical mission in Venezuela making the best of a bad situation. Although I respect the pain of the family and do not question their right to channel such a loss to the last resort, as they have suffered pain of unfathomable magnitudes, it would be very healthy, in situations like this, to redirect their focus to those who have rigged the game such that none of us, not this doctor nor the rest of our colleagues, are guaranteed a way to survive in our country with a minimum of tranquility.